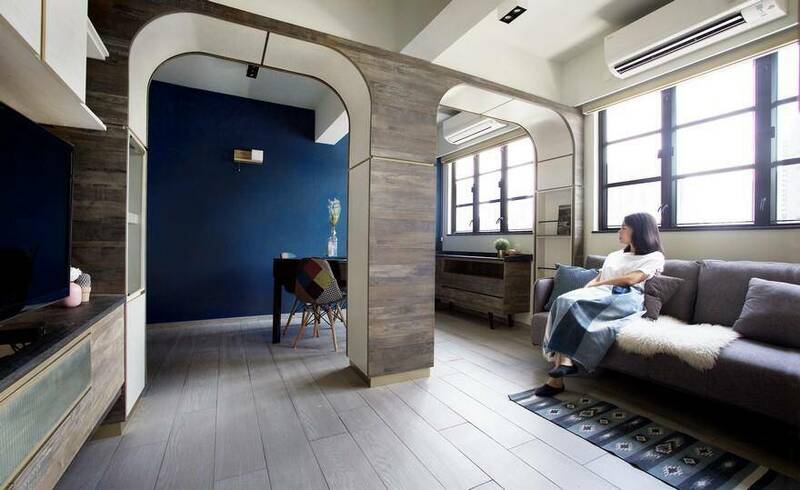 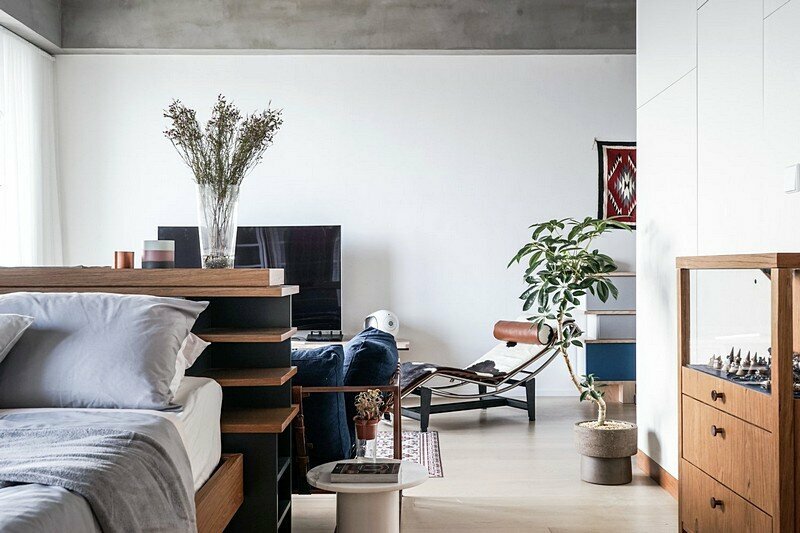 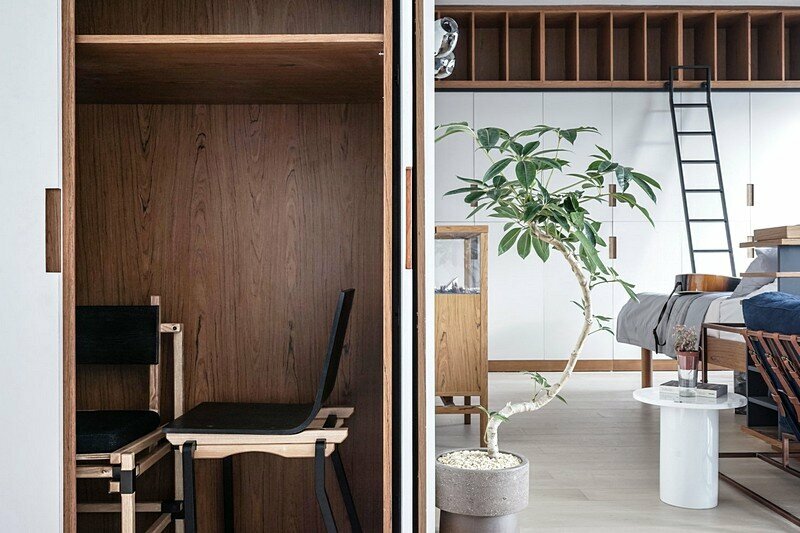 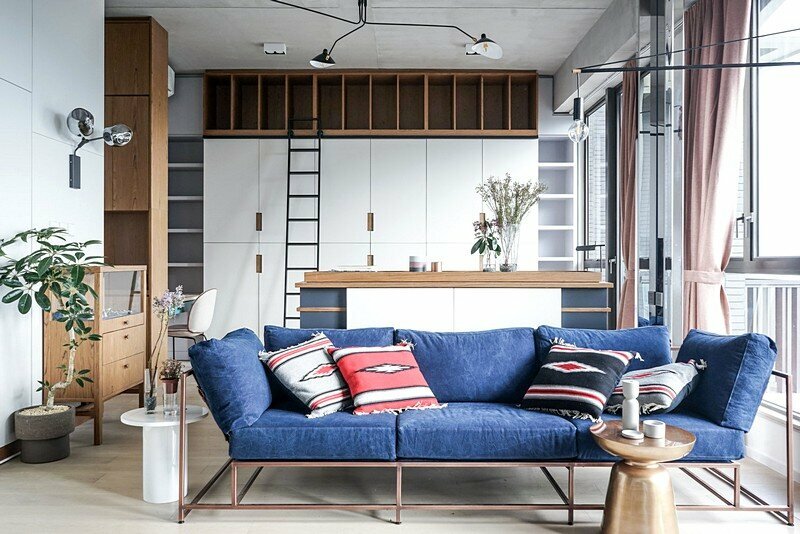 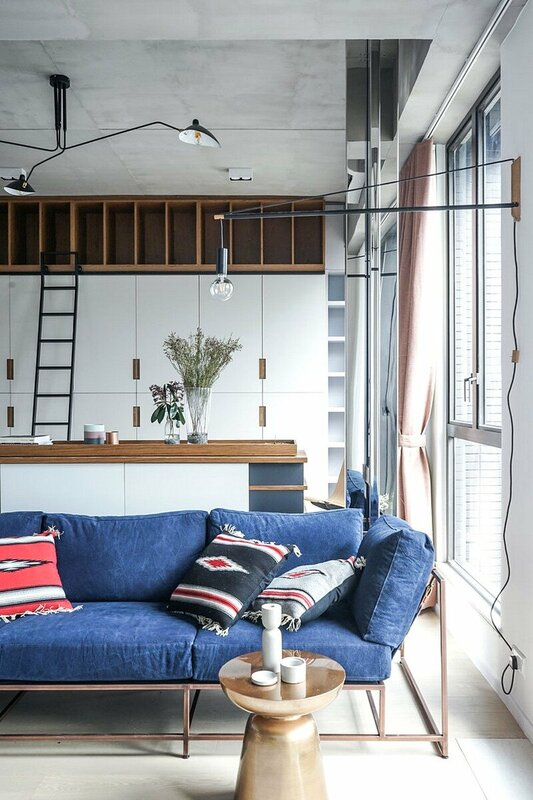 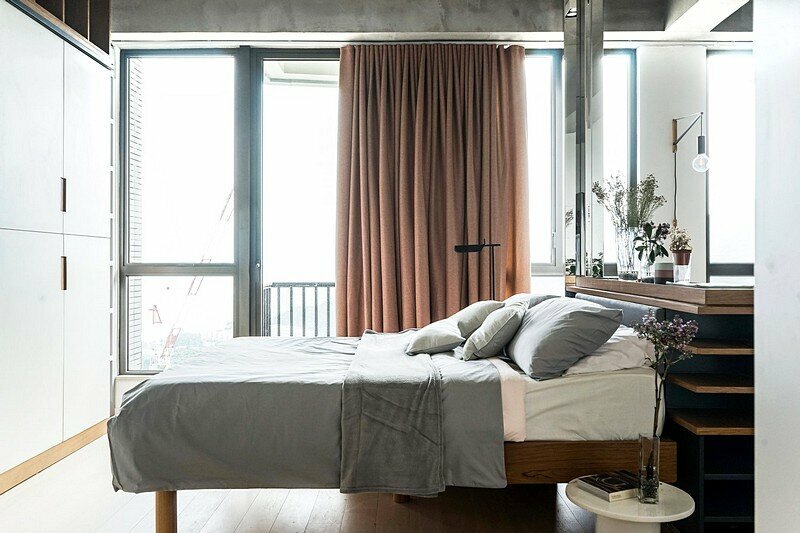 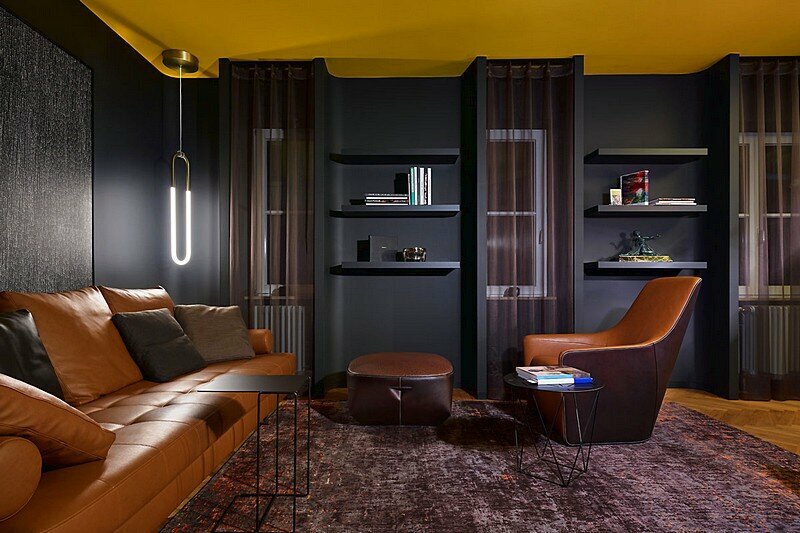 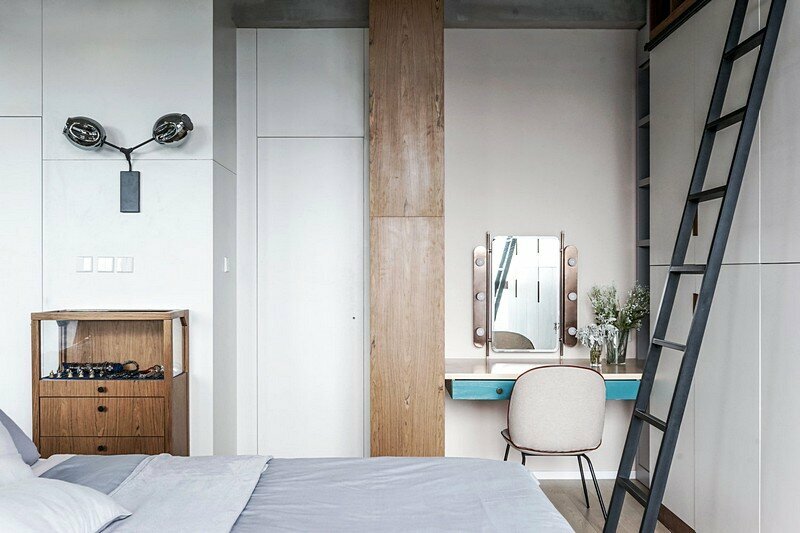 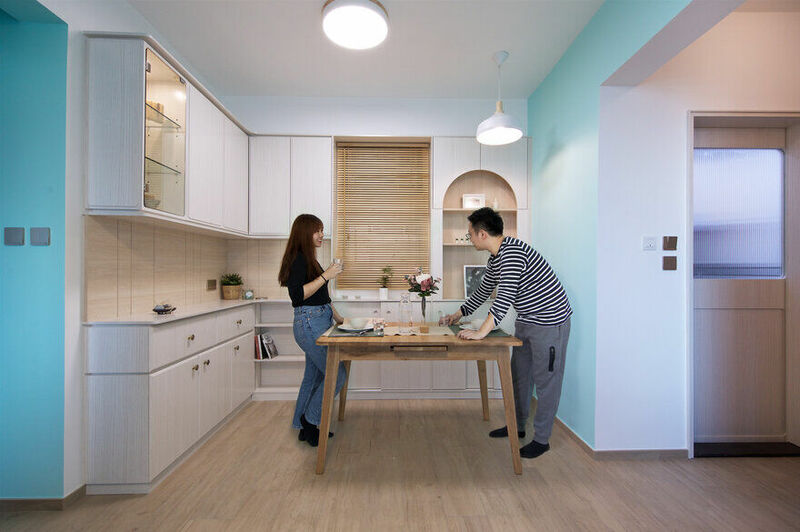 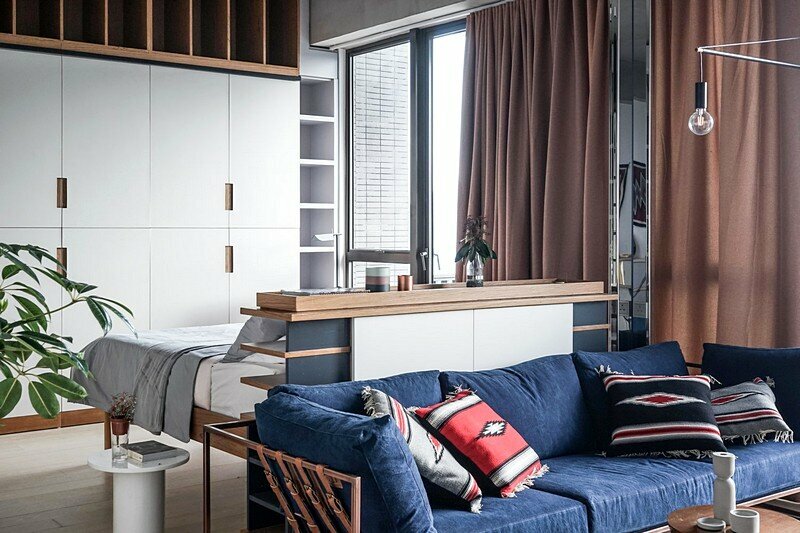 MAD Apartment is a studio home designed by JAAK Studio in Hong Kong. 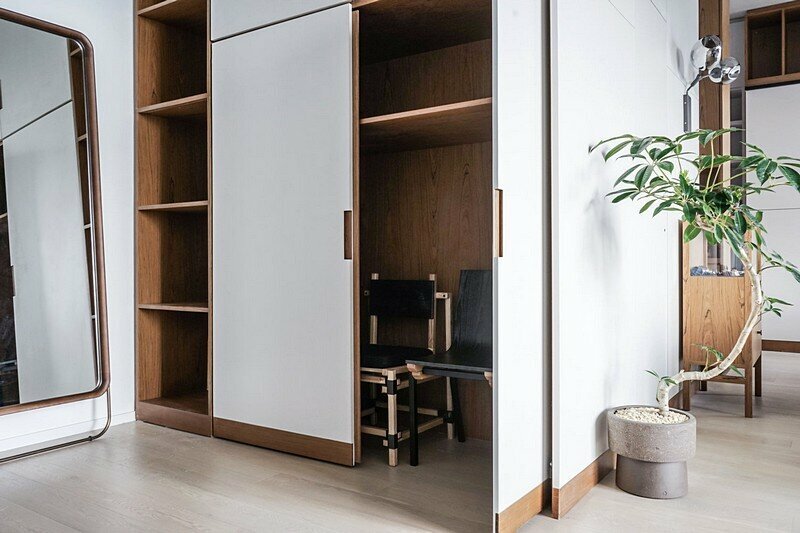 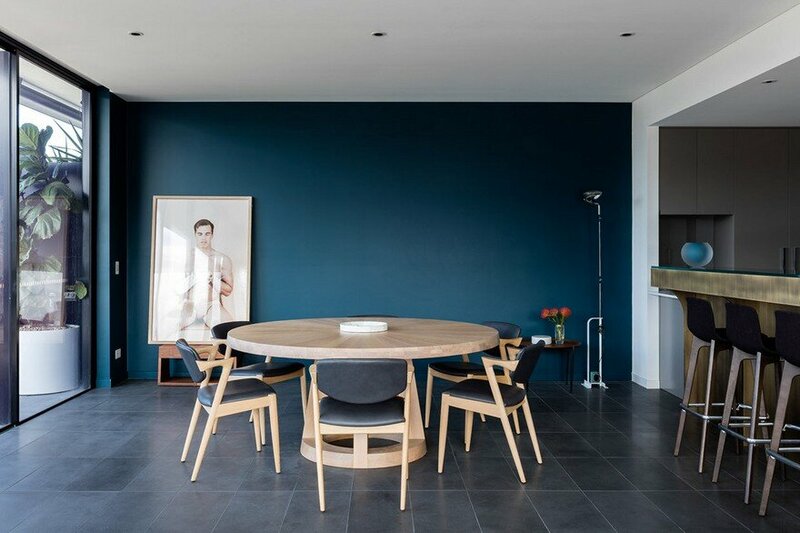 The name JAAK, a homophone of cantonese pronunciation – “宅 (home)“, is an opening statement for founders Chau and Calvin to redefine contemporary living. 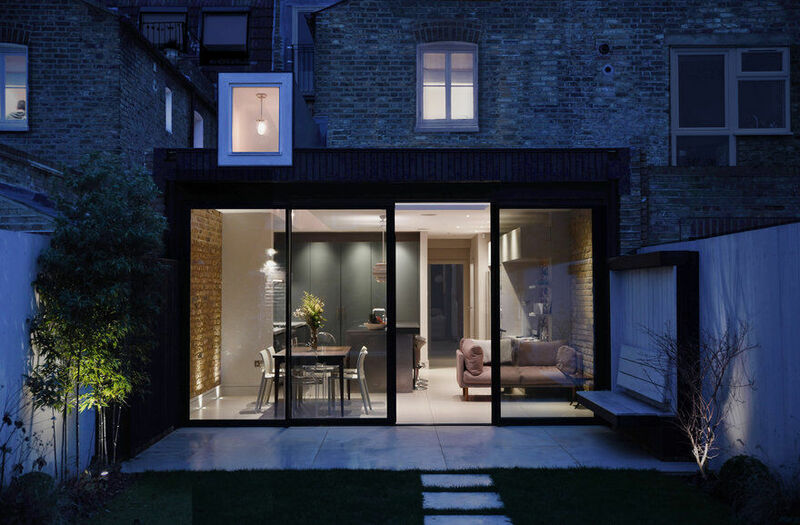 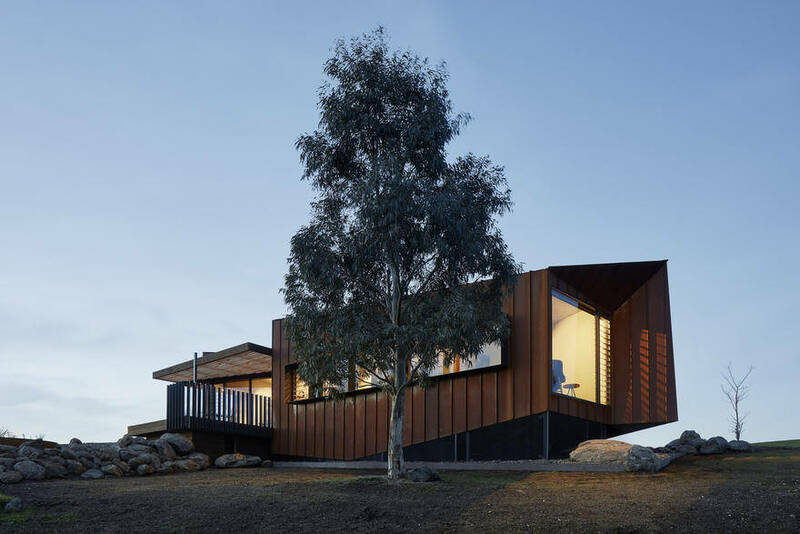 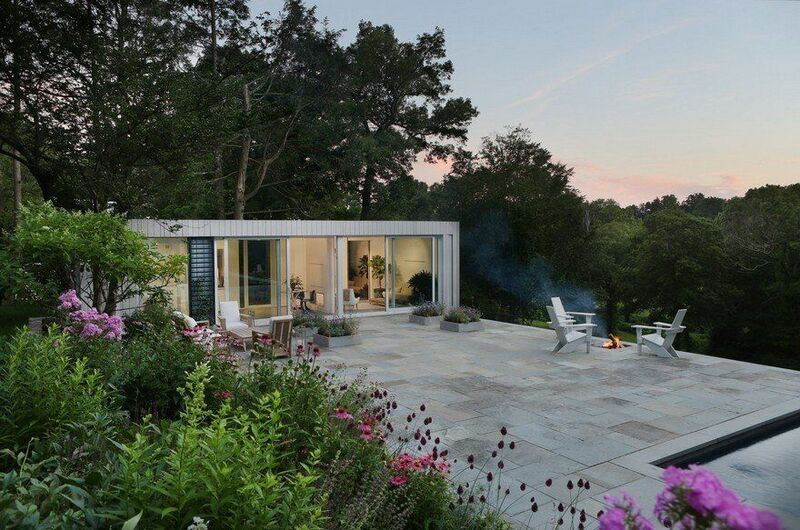 Project description: Decidedly a DINK (Double Income, No Kids) couple client, we broke the house free of rigid partitions provided by developers by creating an open studio. 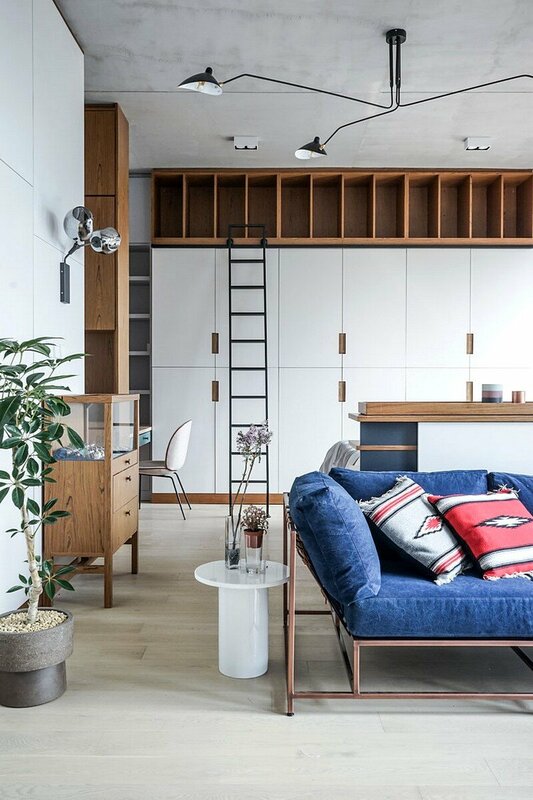 The open plan provided a multiplier for natural sunlight and use of light toned furnitures to enhance the spaciousness of the apartment. 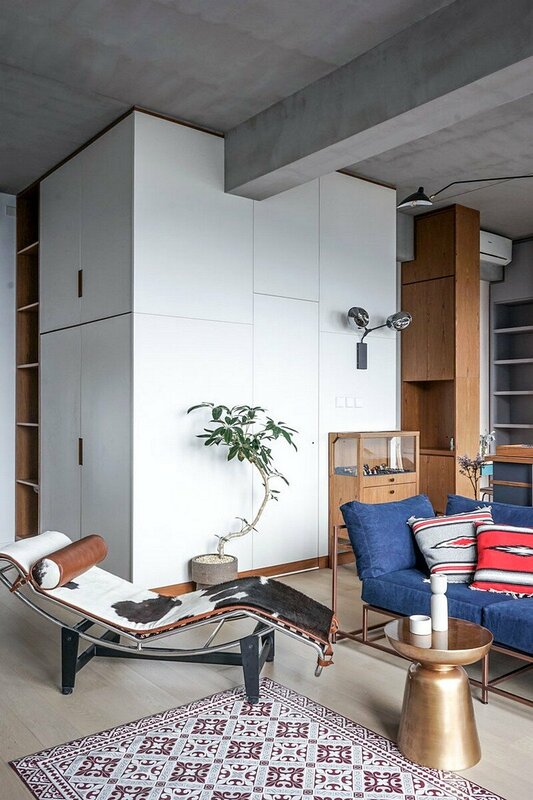 The sofa was designed by Stephen Kenn, utilizing mid century modern principles with a twist of his denim obsession – juxtaposition of avant garde and rigorousness. 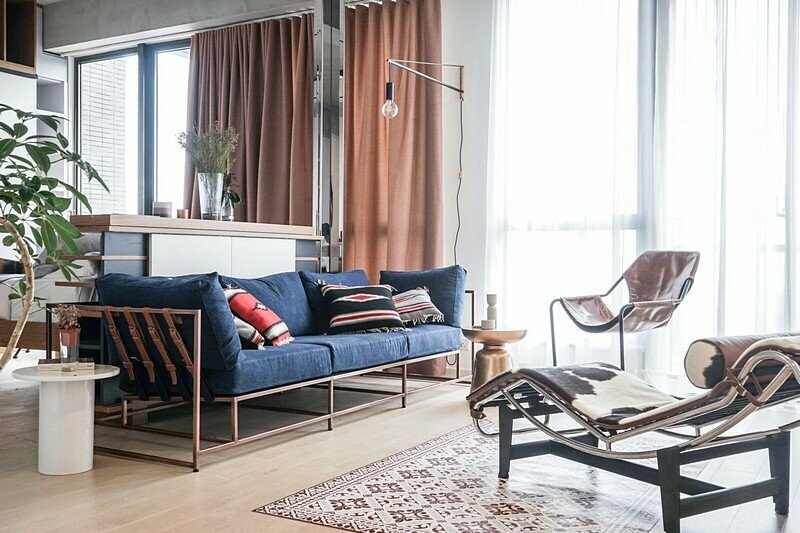 We took this particular furniture as a cue to design the apartment by evolving interior components around its design language.